The Central Coast is known for its beautiful landscapes, from wine country to the beaches. Many of these beautiful views can be seen from the top of hiking summits or out on a back road. Switch up the normal Valentine’s Day routine by enjoying the sunshine with your loved one. Try one of the numerous hiking trails, like Bishop Peak or Ontario Ridge, to spend some quality time together and even catch a gorgeous sunset. 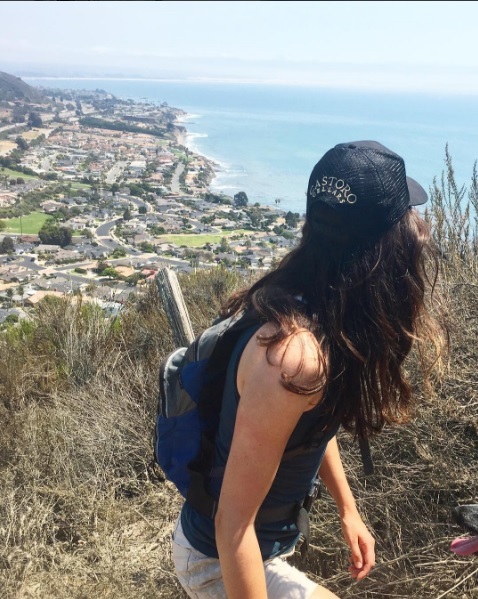 Hiking isn’t the only way to soak up the natural beauty though, as the Central Coast is home to many other ways to enjoy the outdoors. Try out a biking trail or even plan a day out on the waters with a kayaking or boat tour! The Central Coast is no stranger to an adrenaline rush! 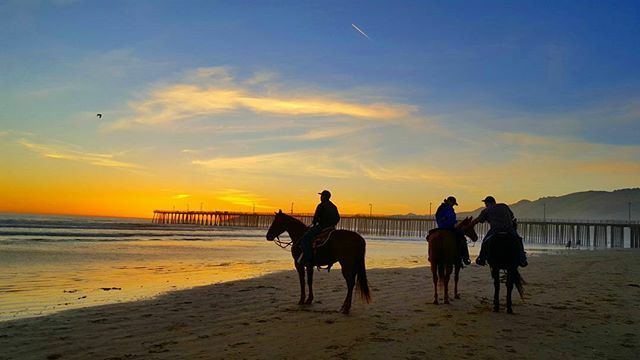 From ATVing in the Oceano Dunes to horseback riding on the shores of Pismo Beach, you won’t be disappointed with this kind of Valentine’s Day! We can guarantee it will be a day to remember when you try something new, opting for something different than another dinner out. If you’re really looking to spice things up, have the experience of a lifetime with Pismo Skydive! The views from that vantage point are the best on the Central Coast! Not all old traditions are meant to be thrown out! Even a classic Valentine’s Day can bring the romance you’re looking for. 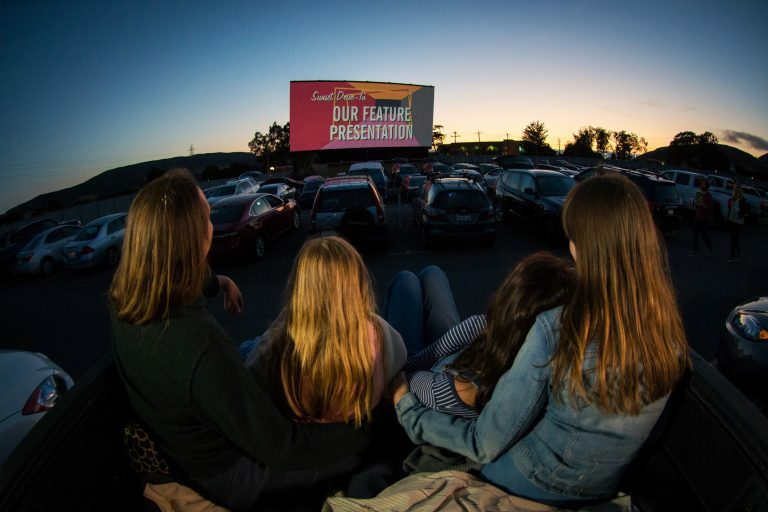 SLO(w) down here in SLO County and enjoy a classic movie date with a twist at Sunset Drive-In Theater. If you’re looking to recharge with your partner and spend the day in your own little retreat, check out the spa treatments available at local hotels like the Inn at the Cove or Avila Lighthouse Suites. Complete your Valentine’s Day serenity with dinner at a local hot-spot like our very own Steakhouse at the Paso Robles Inn or Giuseppe’s Cucina Rustica. If you really want an unforgettable Valentine’s Day, look no further than the beautiful Martin Resorts hotels! With romance packages to recreate a night out of your favorite romantic movie, you will be transported to the land of love. It can be stressful to plan the perfect evening, which is why the staff at each of our properties strive to make your night exactly how you pictured it. 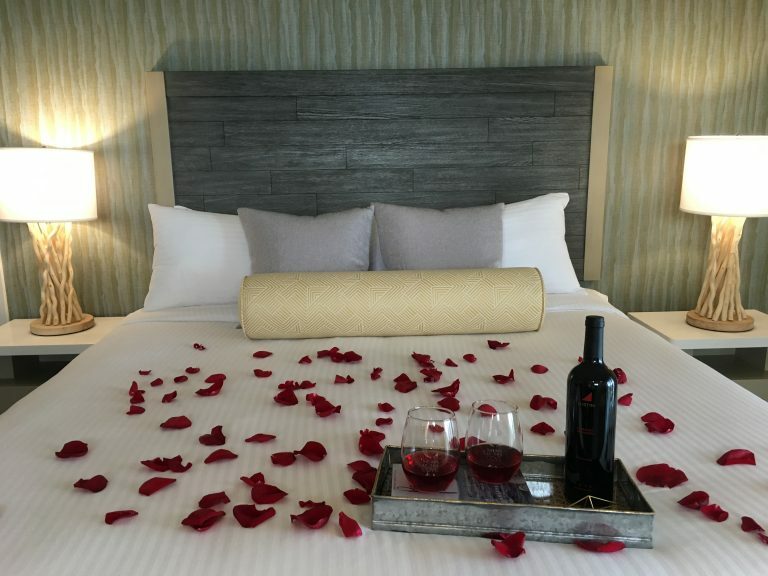 From rose petals on the bed to a glass of delicious Central Coast wine, we will make each moment special. Wake up to the gentle sound of the Pacific Ocean at Pismo Lighthouse Suites or Shore Cliff Hotel, or take a stroll along the seashore at Avila Lighthouse Suites. If wine is more your specialty stay at one of the Paso Robles Inn’s wine-themed suites, complete with a private spa just for you! You won’t want to miss one of the extraordinary sunsets from the Inn at the Cove’s cliff-side gazebo, watching the sky light up with color. All of these amazing experiences are topped off with the perfect escape to your romantic hotel room.